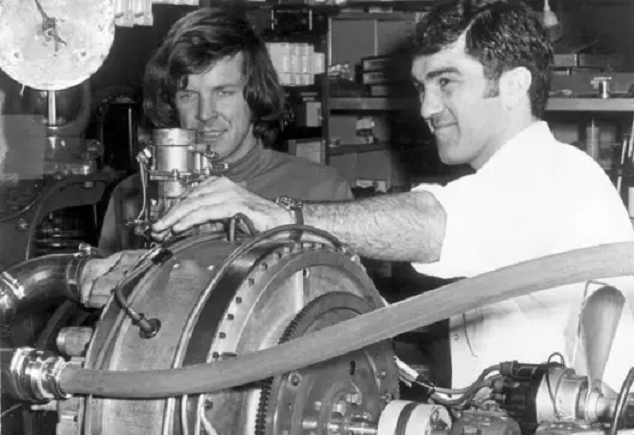 Ralph Sarich first rose to fame in 1972 off the back of his “revolutionary” Sarich orbital engine. The orbital was not unlike a rotary. It featured a single prismatic rotary “piston” orbiting but not rotating around the central axis with at least five combustion chambers separated by reciprocating steel vanes. It sounds complicated, but it had a number of advantages. Sarich claimed that the orbital was light and compact enough that you could carry a spare engine in the car, should the first one break down. Like a rotary, it was a very high revving and powerful engine. Each combustion chamber was equivalent to just over one cylinder. 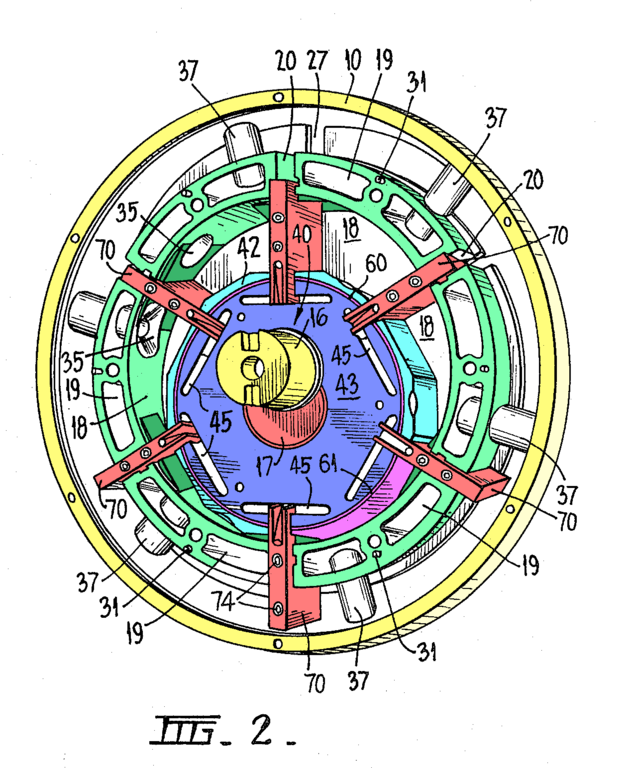 A five chamber orbital was equivalent to a conventional six cylinder. It also didn’t suffer from the same edge wear as a rotary. It was a very promising engine. Sarich won the Australian Broadcasting Corporation’s Inventor of the Year award for his efforts and mining giant BHP invested heavily in the project, buying 50 percent of the Orbital Engine Company. BHP’s contribution was $50 million plus research and development costs. That’s $450 million in today’s money. The West Australian government also threw their weight behind the project. “Sarich need only ask to get millions”, the West Australian newspaper reported. But nothing came of it. The Sarich orbital eliminated some of the Wankel's drawbacks, it suffered numerous technical difficulties of its own. These mostly revolved around the inability to cool or lubricate some components, leaving it prone to overheating. Although working benchtop prototypes were built, none were actually used in a car. Over that eight-year period, OEC made great improvements in fuel economy, emissions and sealing. Sarich boasted that the orbital offered 42 percent better fuel economy than an equivalent-performing piston engine in a 1000kg car. The orbital never made it to the production stage.In 1984, when Sarich realised that the orbital was unworkable, he floated his half of the company under the name Sarich Technology Trust. Five million shares at $1 each were floated. According to OEC manager Ken Johnsen, the official explanation for the company’s problems was the cost of retooling for production.”If we had stuck with the two-stroke back in 1974 we might have made a go of the orbital, but the main reason we didn’t go on with it was the commercial barrier of retooling”, Johnsen said. Although the Orbital never made it into a production car, selling half the company to BHP and floating the other half made him very rich. Sarich used his millions to fund another, relatively conventional idea. A two-stroke passenger car engine. Sarich being Sarich, this was no ordinary two-stroke. Sarich had shifted OEC’s focus to a three-cylinder direct injection two-stroke engines in 1983. The Orbital Combustion Process engine took the Orbital Fuel Injection System initially designed for the Sarich orbital engine and adapted it to an easier to implement engine. OFIS used a charge of compressed air to atomise the fuel mixture, allowing a compression ratio as lean as 31.5:1. The reasoning for choosing a two-stroke rather than the more conventional four stroke was that it was easier and cheaper to make. Two strokes have no valves, camshafts, pushrods or rockers. The first OCP engine two-stroke engines were based on a Suzuki two stroke three cylinder. After building 20-30 Suzuki-based engines, he developed his own three-cylinder called the R-Series. 20 R Series engines were built undergoing 10 rebuilds each before a revised X series was developed. Orbital said the X Series was production ready and covered by 400 patents, 30 of which were for the direct injection system. The OEC two-stroke engine offered significant weight, cost, and efficiency advantages. It met most emissions standards, including strict US NOx standards with the use of a two-way catalytic converter, rather than the usual three-way. With 67kW it produced more power than the 1.6L litre four-cylinder engine used in GM’s J cars but weighed just 41kg compared to 128kg GM unit. It was also AU$200 cheaper to manufacture. Sarich believed that the lighter engine allowed for a lighter front body structure and eliminated the need for power steering, increasing savings to $600. Orbital's share price rose a peak to $24 and then Prime Minister Bob Hawke pledged $500,000 to assess the viability of establishing an OCP engine plant in Australia. Orbital licensed the OCP engine to Mercury Marine, Outboard Marine Corporation, and most notably, Ford. Ford intended to use the OCP engine in a production version of the Ghia-designed Saguaro concept. The Saguaro was designed to make full use of the OCP’s compact size. The OCP allowed Ghia to minimise the Saguaro’s frontal area for an extremely low drag coefficient. A 100 car fleet of Festivas were fitted with Orbital engines and journalists were invited to drive them. These cars were impressive, offering better fuel economy and performance than a standard Festiva, however, reliability was worrying. The car suffered a fouled spark plug and faulty injector two hours into a road test. It was also louder than the four-stroke Festiva, despite extra sound insulation that made it heavier than the four-stroke. The OCP engine seemed to be in very strong demand. In 1992 the Volkswagen Polo was rumoured to be the first car with an Orbital two-stroke, GM was working on an Orbital CDS2 V6, and Pininfarina revealed the three-cylinder Ethos concept. The Ethos was to be the first production car designed around the Orbital engine and produced as either a Fiat or Honda. 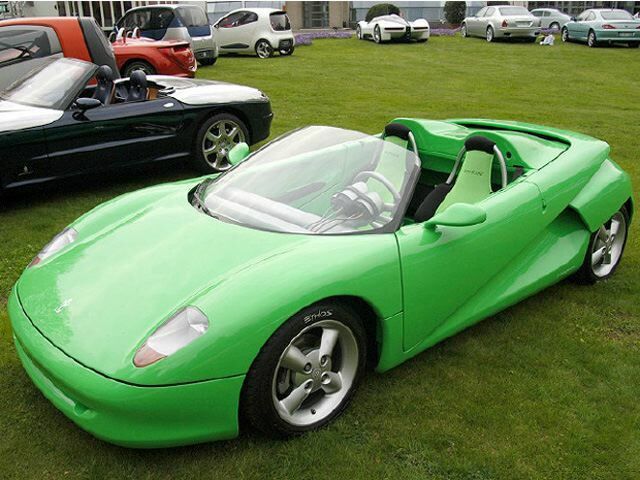 In 1993, there were still no production cars with an Orbital engine, but speculation continued. The Fiat Uno was now tipped to be the first car to receive an Orbital three cylinder. Why did the OCP never make it into a production car, then? In the early 1990s. Thomas Krickelberg was working as Ford’s engineer in residence at Orbital. Earlier this year he told Wheels magazine that Orbital had prototype engines with low emissions, low fuel consumption and excellent noise, vibration and harshness levels. What they couldn’t seem to do was produce an engine that offered all three at the same time. Utilising Orbital’s engine technology was simply too risky and would have offered no advantages by the time the problems were resolved. That left it confined to marine applications where two-strokes were commonplace, as well as Aprilia scooters. These days the same compressed air direct injection technology is used in Orbital drone engines. The closest Orbital got to a car engine was the LPG system in the 2000-09 Ford Falcon E-Gas. Ralph Sarich showed incredible determination in persisting for 30 years to revolutionise car engines. His outside the box thinking (was he even capable of thinking inside the box?) almost brought success in the early 1990s, but it didn't quite happen. The car industry has always been risk-averse and the ubiquitous four-stroke piston engine was going to be hard to beat.